Most Important Part of Ballet Costumes? What is the most important part of any dancer's costume? And if you know any more infomation can you please tell me. I have to do a brochure on Ballet Costumes. So it would be good if you could help me out! To:- Most Important Part of Ballet Costumes? Ballet costumes are a crucial element, not just for the dancers, but for the overall look of a ballet performance. The costumes help convey the characters and story in a ballet. For example, in the Nutcracker ballet, the Sugar Plum Fairy wears a dazzling tutu which is elaborately decorated in jewels and colous to show she is the leader of her Kingdom. Have a think about the different components to a dancer's costume before deciding which is the most important. There are many significant parts and each has its own importance. You can think about the colour, the shape, design and also footwear, hair and main bodice of the costume. Remember, ballet costumes have a strong connection to the intention of the dance. Therefore, the most important part could depend on what type of dance it is for. Have a think and reflect over what I've said for your brochure. lease do let me know what ideas you come up with! Join in and write your own page! It's easy to do. How? Simply click here to return to Ballet Costumes. Ballet Costumes - Lightweight Fabrics? Hello I am a second year university student from England. I am researching in ballet costumes for one of my projects, with the hope to produce my own costume at the end, but I was wondering what is the importance of using very lightweight fabrics and are there any important factors that I will need to consider? To:- Ballet Costumes - Lightweight Fabrics? Thank you for your ballet costumes query, it is a pleasure to hear from you. It is fascinating you are doing a project on ballet costumes. I am very interested because, as a dancer, I feel the costume plays a crucial part in any ballet. 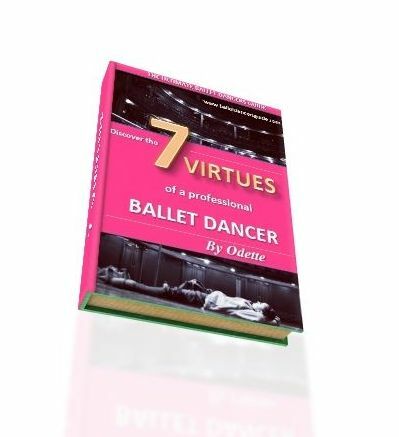 It contributes in portraying the character and engaging with the audience, all the elements in which make ballet such a visual, beautiful and entertaining art form. The importance of using very lightweight fabrics is because the material moves faster and easier. They also have a tendency to breathe and move more freely with the dancer. Some good examples of soft stretchy material are chiffon, jersey, silk, georgette, and lycra. Dance is about movement, so the way the fabric moves is very important. You want to make sure the costume has as few restrictions as possible. I can almost guarantee most ballet dancers would create a costume that feels free, light and flowing that would absolutely compliment their dancing and body. Of course, a large factor of producing a costume depends on what type of ballet you are creating for, because there are the classic works which feature lots of ballet tutus or the more contemporary works which have more versatile costumes. Other important factors you can consider are the colour, texture, lining, accessories, footwear, hair style or even make up. All these components play a part in creating a costume that works in relation to the particular dance or character. I am greatly intrigued by your query and I would love to see any photographs of your final outcome, so please keep in touch and let me know how your doing. I am always happy to help.